We headed south on 128 from Hendy Woods. The drive is lovely, through forests and the vineyards of Anderson Valley. Would have loved to have stopped for a little wine tasting. Maybe next trip? 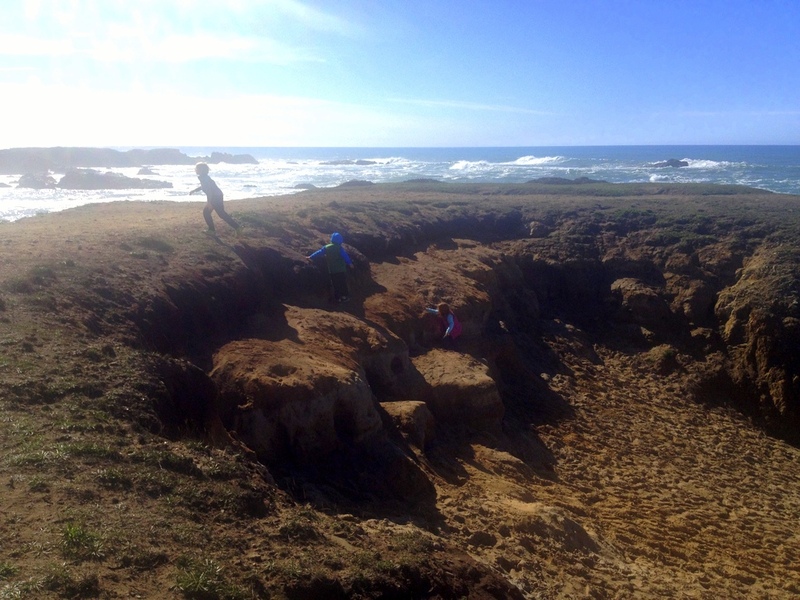 Our destination today was to see “Glass Beach” located in Fort Bragg, part of MacKerricher State Park. The little inlet of beaches are filled with sea glass that comes in from the ocean. History states that in the beginning of the century these beaches were used as the city dump. Residents would throw their trash over the cliffs and set it on fire. 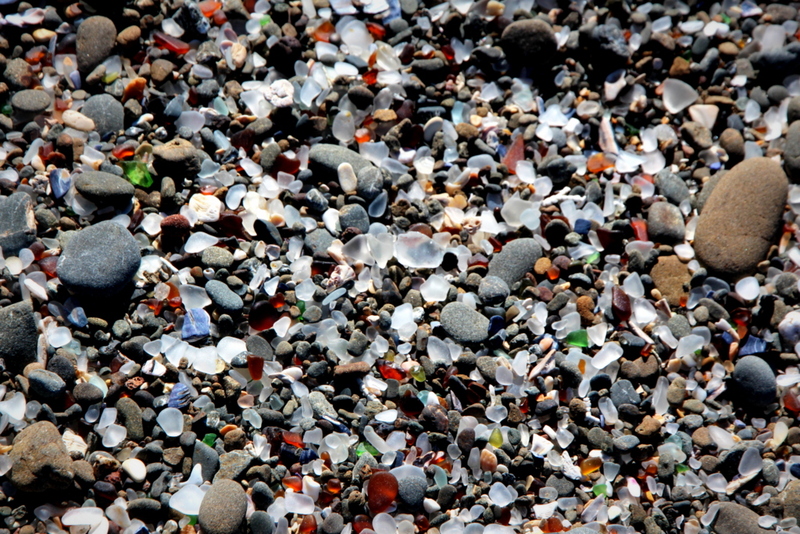 Over time the glass tumbled to beautiful small pieces of sea glass. 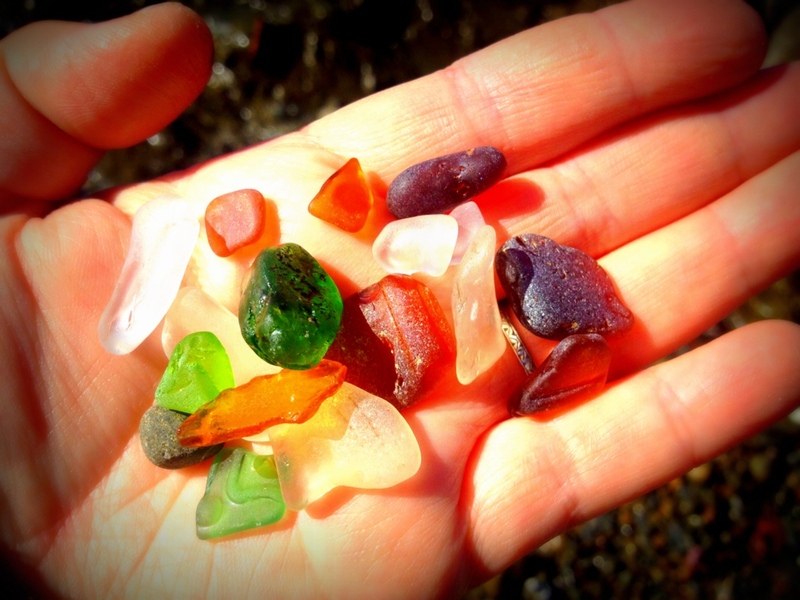 The beach is now part of the state park system and the sea glass is protected from removal. The glass beach is amazing. When the water runs over the sand and you scoop up handfuls of the shiny glass it’s hard not to stuff them in your pockets. There are signs posted, but all around, you will see people picking up the glass by the bagful. 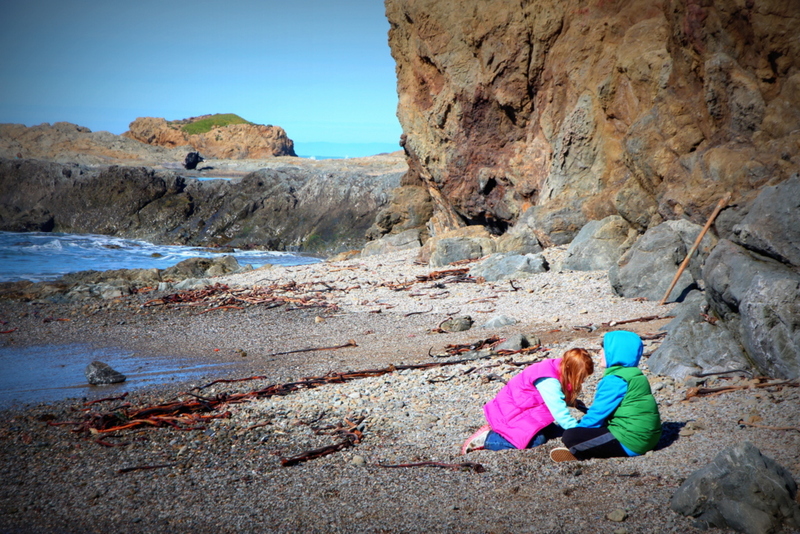 Eventually there will come a day when all the sea glass here is gone. It is such a unique experience to see in person, I hope it won’t be for a while yet. We were here half a day but easily could have stayed longer if it was not for hungry kids. Being out in the sunshine after being so cold in the forest was heavenly. 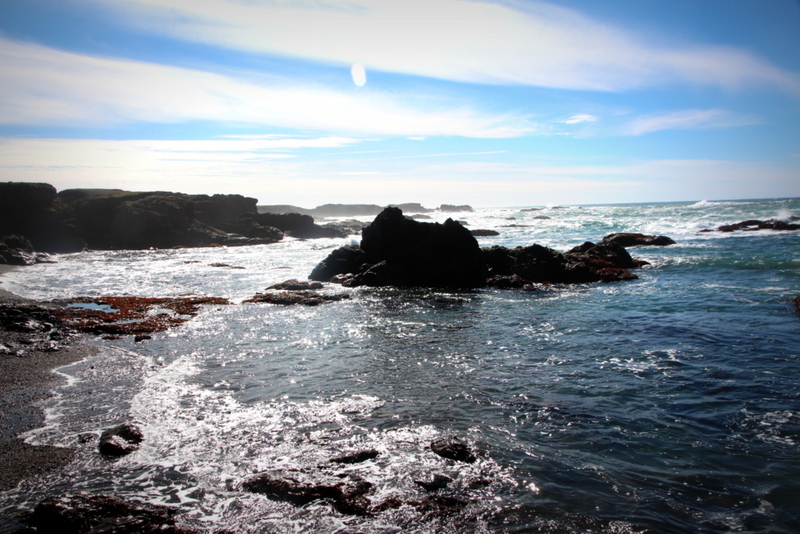 Playing with the glass, looking at the tide pools, climbing the rocks, running along the trails, it was a lovely time. Lady, too would agree. This half a day trip has long stayed in our memories. The kids frequently ask for a repeat visit and has inspired us to look for other glass beaches to find as well.